What is RAM and how does it affect your computer's performance? 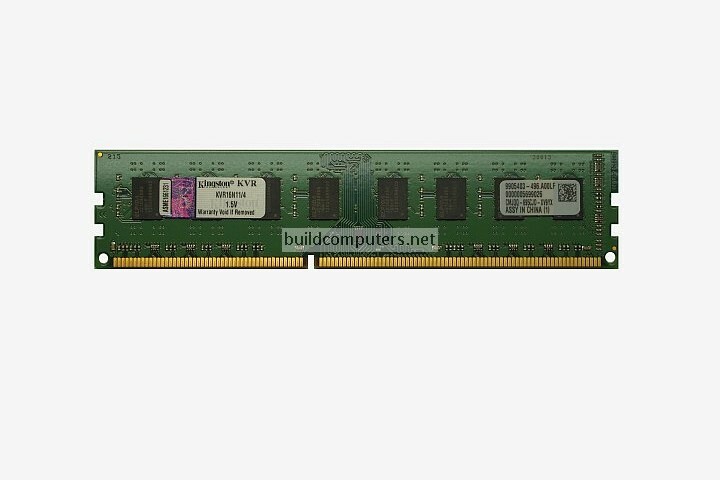 Read on for a plain English definition of RAM and find out how RAM works in a computer. Let's begin with the name: Random access refers to the fact that data that is stored anywhere on RAM can be accessed directly regardless of its (random) location. This is in contrast with other types of data storage such as hard disk drives and discs where they have to spin to the data's location first before being able to access it. RAM is blazing fast compared to hard drives - Even the latest and greatest solid state drives are embarrassingly slow when pitted against RAM. While top end solid state drives can achieve transfer rates of more than 1,000 MB/s, modern RAM modules are already hitting speeds in excess of 15,000 MB/s. RAM storage is volatile (temporary) - Any data stored in RAM will be lost once the computer is turned off. Comparing computer storage to the human brain, RAM works like short term memory while hard drives resemble our long term memories. Super fast, volatile and relatively expensive... So what is RAM used for in computers? Whenever you run a program (e.g. operating system, applications) or open a file (e.g. videos, images, music, documents), it is loaded temporarily from the hard drive into your RAM. Once loaded into RAM, you will be able to access it smoothly with minimal delays. If you run out of RAM, your operating system will begin dumping some of the open programs and files to the paging file (see image below). This is bad news... because your paging file is stored on the much slower hard drive. So instead of running everything beautifully off RAM, a part of it is being accessed from your hard drive. This is when you will begin to notice awful things like slow loading times, stuttering and general unresponsiveness (especially if you have a mechanical hard disk drive). So now we know what is RAM used for: Having enough RAM allows your computer to be more responsive, multitask better and run memory-intensive programs (e.g. video editors, databases, virtual machines) with ease.